Updated: March 23, 2018 – Mr. Rollins has been located. The Dallas Police Department is asking for the public’s assistance in locating Mr. George Earnest Rollins. On March 18, 2018, at approximately 10:00 p.m., George Rollins was last seen leaving the 2300 block of Stemmons Trail Dallas, TX driving a red 2007 Ford 500 (4 door) with Texas plates FKB-2760. 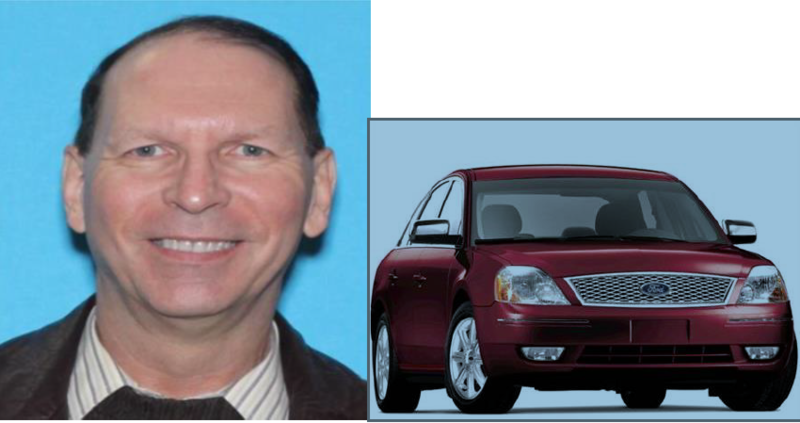 Mr. Rollins is a 58 year-old White male, standing at 6 feet tall, weighs 160 lbs., has black hair and blue eyes. His clothing description is unknown at this time. Mr. Rollins may be a danger to himself or others.